It was Chinese New Year and we were looking for a good place to eat some Asian food. Why not Japanese? And better yet, why not Happy Hour in Seattle? We just discovered that there are great food specials during Happy Hour in Seattle. In New York, Happy Hour is just about alcohol. And since I don’t drink, I never cared much for it. But then I heard about Happy Hour in Seattle and how you could get great food. So we chose Moshi Moshi based on some good reviews. In a great little part of Ballard, it’s set amongst a lot of trendy shops and a nice street. 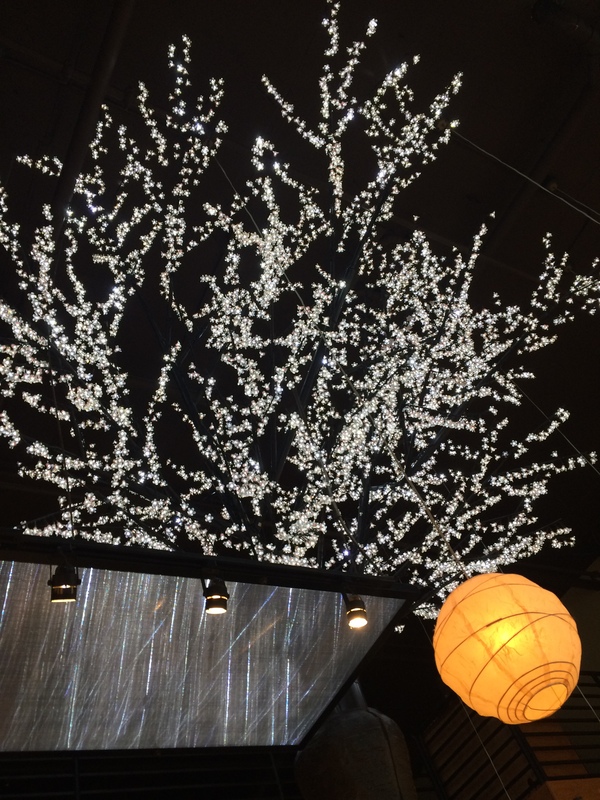 The first thing you notice is the LED Sakura tree inside, it is quite a different feel! 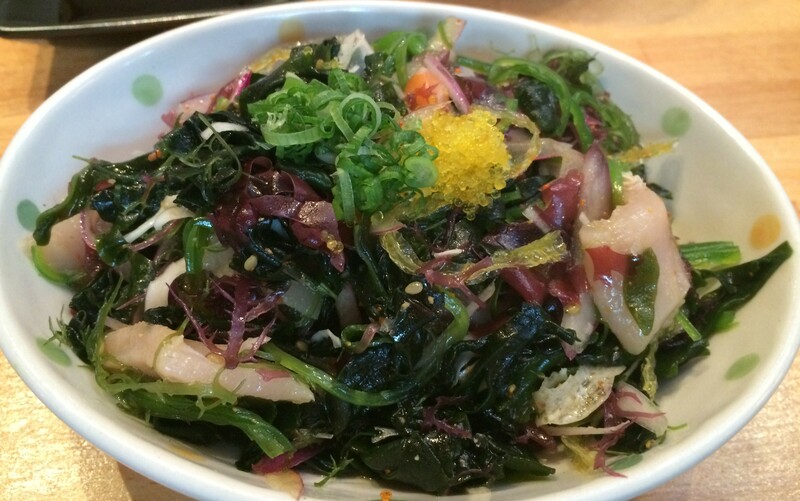 We start off of their Happy Hour menu with some Poke. Nice and fresh and tasting pretty darn good! Now a couple of rolls. 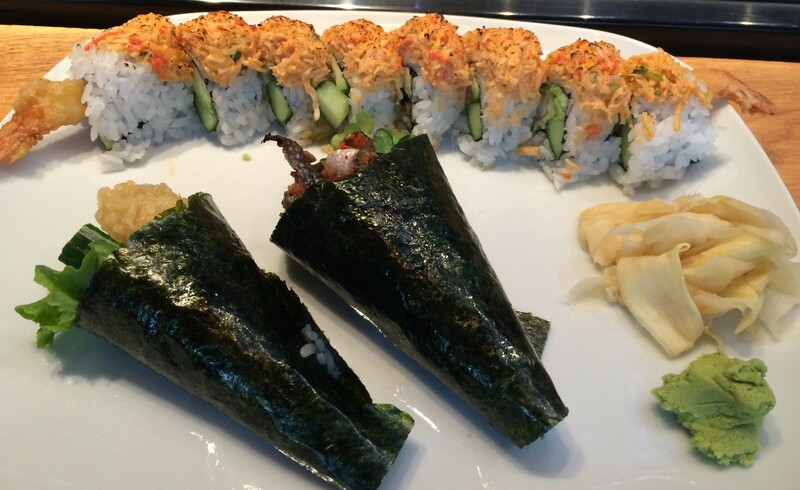 We have a Sophie-san Roll, which is Shrimp tempura, cucumber, avocado, topped with seared spicy snow crab. Not bad at all. 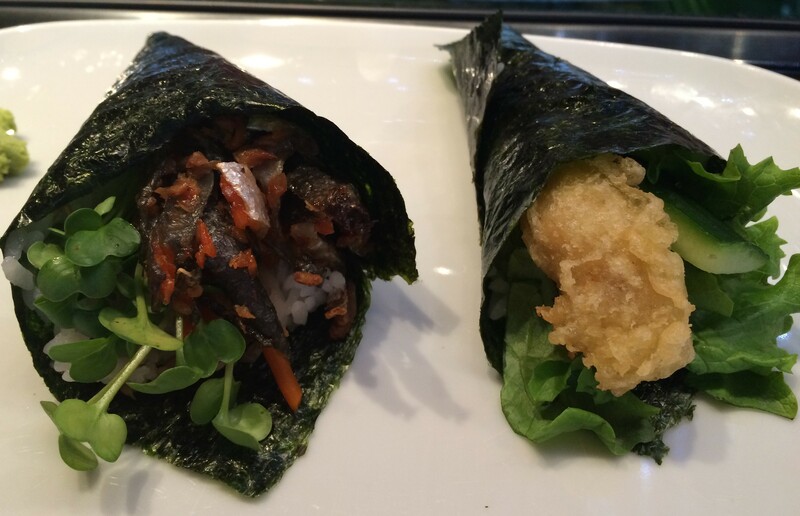 Here are the two hand rolls, on the left is a Salmon Skin hand roll and then an Ebi-Ten Hand roll. This is a Cali-Crunch roll, which is a type of California Roll with snow crab mix, cucumber, avocado, cream cheese & tobiko and then Tempura-ed. The interesting thing about the California Rolls here in Seattle is that they use a Crab Salad, not the Surimi. Thank goodness because Surimi is evil. 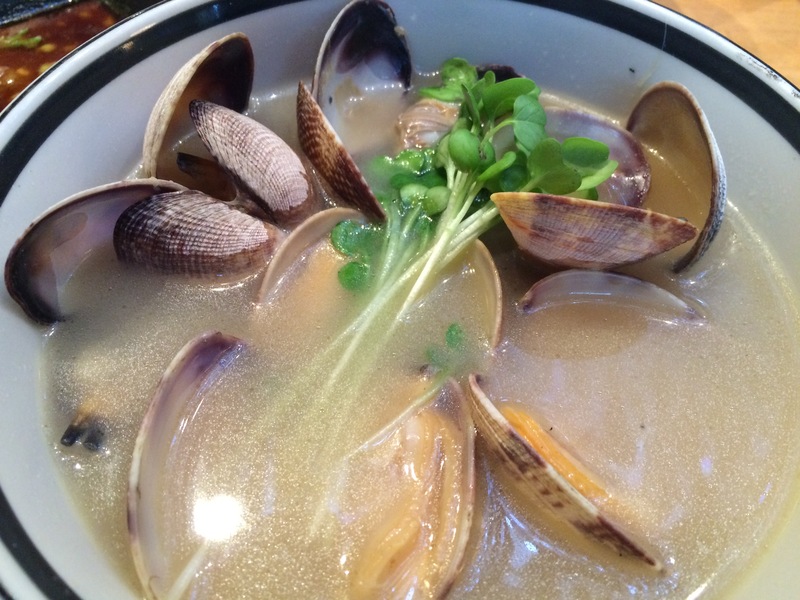 And to follow it all up, some Manila Clams in a Sake Broth. Amazing. Happy Hour is where it’s at and Moshi Moshi is where it’s at. A great spot to feed your Japanese cravings. Posted in Seattle, SushiTagged Happy Hour, Seattle, SushiBookmark the permalink.